LONDON: It is shaping up to be a mammoth citizen science project. 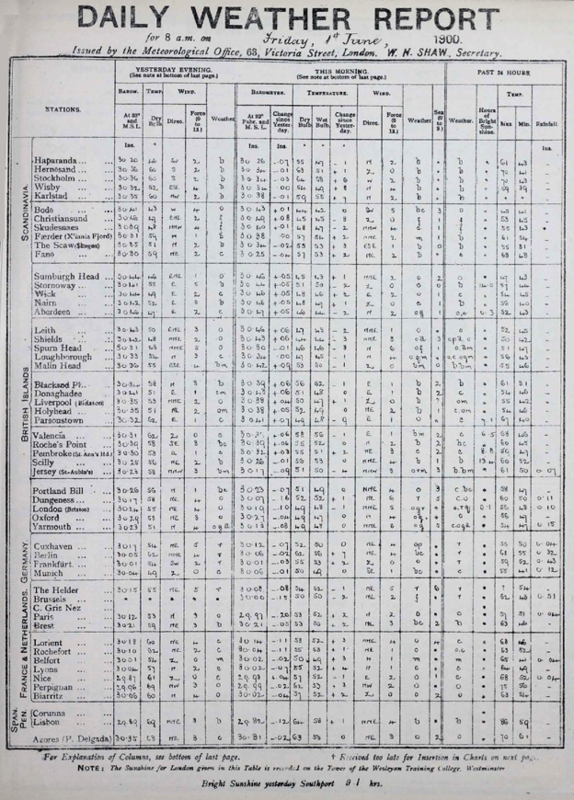 The data comes from the Met Office's "Daily Weather Reports", which were started by Robert FitzRoy shortly after the agency was founded in 1854. "Whenever we have big weather events today we need to ask ourselves, have we seen them before? And if we go further and further back in time and don't recognise such big storms or such heavy rainfall, then we can be more confident that the changes we're seeing today really are the result of shifts in the climate system," he told BBC News. 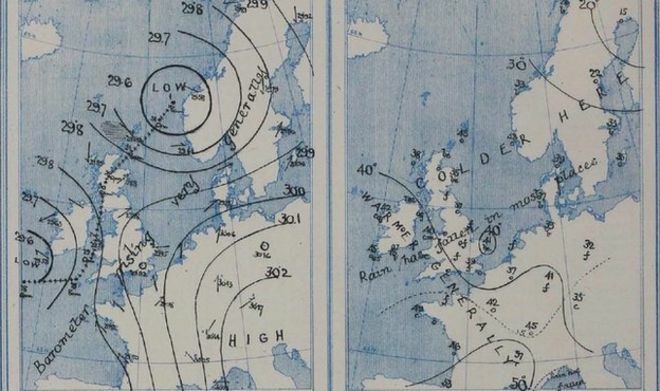 FitzRoy initially had weather observations from 15 UK stations telegraphed to London where they were collated and used to produce the first ever weather forecasts and storm warnings. Soon after, he was getting measurements cabled from stations across the continent as well. It is work that has essentially continued to this day, although modern systems mean satellite and other observational data are now fed directly into the supercomputers that make our forecasts. But go back prior to 1950 and a lot of the data in the Met Office's possession is, in practical terms, out of the reach of scientists because the information is literally bound up - in paper archives. The Weather Rescue project aims to rectify this. It is posting photos of the tables started by FitzRoy on its website, and inviting volunteers to help make the millions of handwritten entries spreadsheet-friendly. The initiative follows the highly successful digitisation of data gathered by the "Weathermen of Ben Nevis". These were individuals who lived atop the UK's tallest mountain to take meteorological measurements on the hour, every hour between 1883 and 1904. Citizen scientists made short work of this task, completing the key phase of the conversion process in just eight weeks. Already, their contribution is informing our understanding of past events, including 1903's "Ulysses Storm" - so called because the damage it caused across Ireland was mentioned in James Joyce's novel. Ben Nevis was in the track of the storm and the mountain men's data has just assisted a new reconstruction of the event, says Met Office scientist Dr Philip Brohan. "Storms are intrinsically extreme - the atmosphere is in an unusual state. It's really quite difficult therefore to reconstruct those events if you just have a small number of observations. So with the Ben Nevis data, we were able to sharpen up the picture quite considerably. "For the Daily Weather Reports, we're going to start with 1900-1910. It involves more than 100,000 numbers a year. Yes, it's a huge task, but if we can demonstrate the impact on reconstructions then we'll just keep going and do as much as we can." The Ben Nevis project attracted more than 3,500 citizen scientists to its cause. Typically, a few did most of the work - about 80% of the effort was undertaken by around 20% of the volunteers. Nonetheless, Prof Hawkins says he was amazed by the interest and hopes the new venture will attract an even bigger following because of the involvement of stations across Europe. "By 1900, the stations contributing to the Daily Weather Reports are fairly well spread - all the way from the Arctic Circle in Sweden down to southern Spain, and from Ireland across to Germany. "We've done some work to try to understand how much benefit we will gain when all these observations - from both Ben Nevis and the latest project - are fed into new reanalyses, and it should make for an extraordinary improvement in the reconstructions." The Ben Nevis project website is still accessible and many volunteers continue to transcribe some outstanding wind data.